Mountain Jam, one of the Northeast’s largest rock n’ roll camping music festivals, now in its 15th continuous year, has announced its lineup for the 4 day music extravaganza June 13-16 2019. The Festival will feature Willie Nelson & Family, Gov’t Mule, The Avett Brothers, The Revivalists, Joe Russo’s Almost Dead, Dispatch, Alison Krauss & Union Station, Toots & The Maytals, Lukas Nelson & The Promise of the Real, Twiddle, Mandolin Orange, Sister Sparrow, Amy Helm, Allman/Betts and approximately 40 other bands across 3 stages. The Mountain Jam Festival is produced by Mountain Jam Productions, LLC, a collaboration between Chet-5 Festivals, Live Nation, Woodstock, NY’s legendary independent radio station, Radio Woodstock 100.1 (WDST), and Warren Haynes. Mountain Jam is a four-day, multi-stage event, featuring approximately 50 bands on 3 stages at Bethel Woods Center for the Performing Arts, one of the Northeast’s premier, natural amphitheaters and the site of the historic 1969 Woodstock Festival. 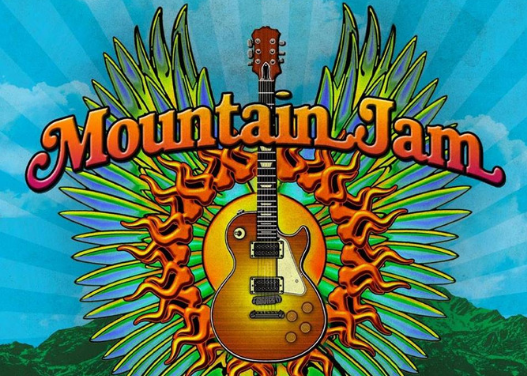 Over the years, Mountain Jam has hosted some of the top names in live music, including Tom Petty & The Heartbreakers, The Black Keys, Robert Plant, Beck, The Allman Brothers Band, Phil Lesh & Bob Weir, Jack Johnson, The Lumineers, Widespread Panic, Portugal. The Man, My Morning Jacket, Wilco, Gov’t Mule, Levon Helm, The Avett Brothers, Alison Krauss & Union Station, Steve Miller Band, alt-J, Ray LaMontagne, Michael Franti & Spearhead, Tedeschi Trucks Band, The Roots, James Murphy (of LCD Soundsystem), Mavis Staples, and many others.